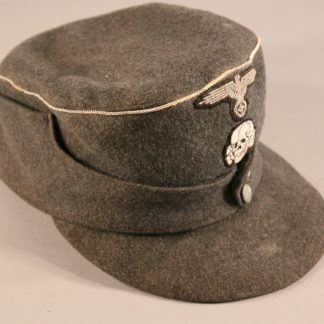 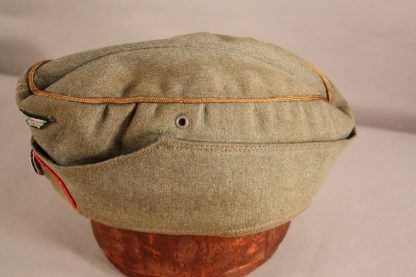 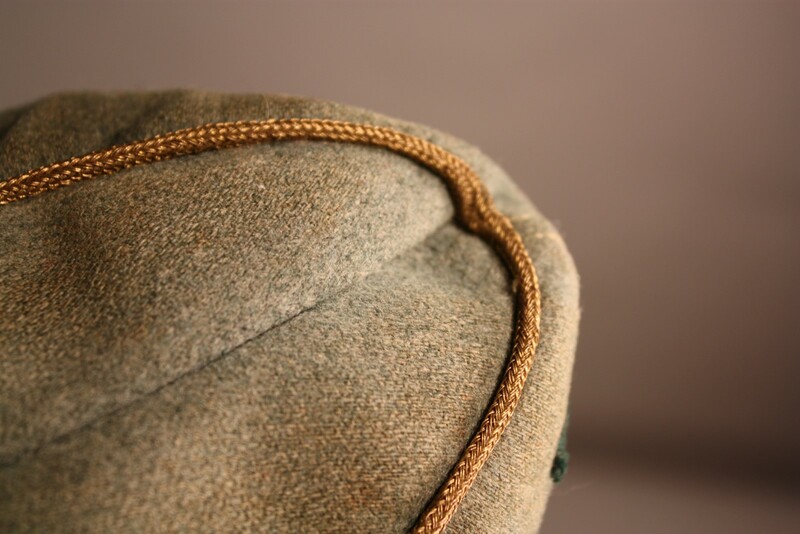 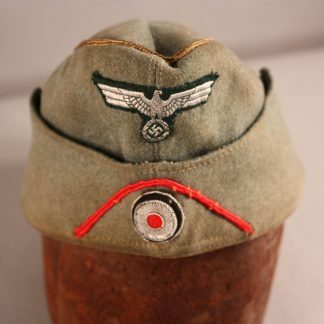 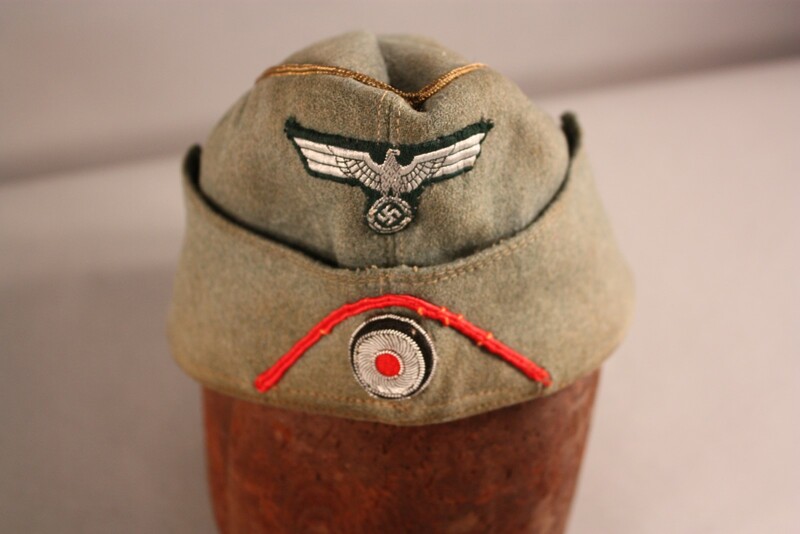 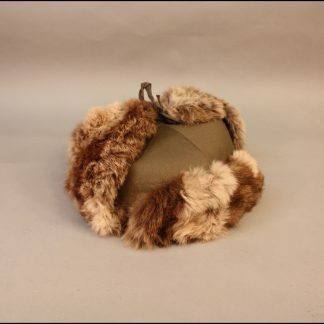 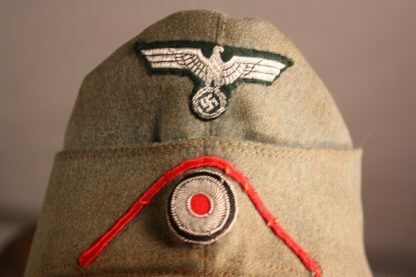 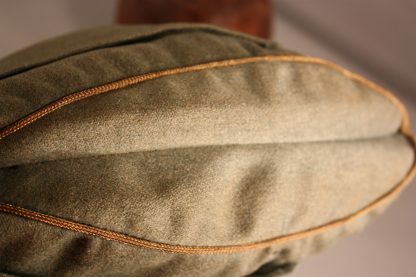 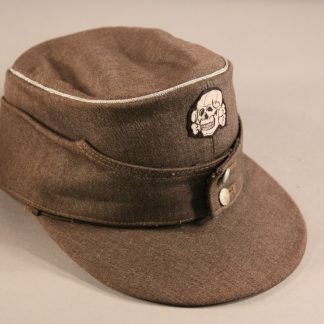 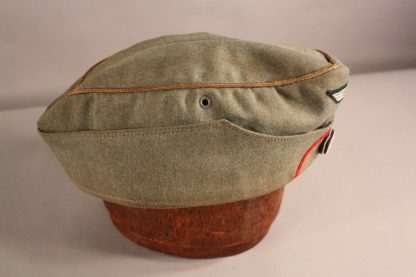 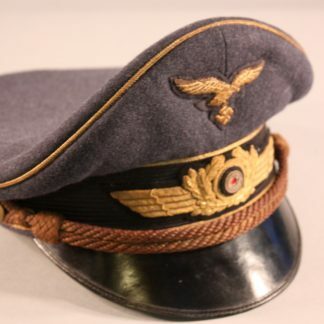 Army General’s Side Cap, Early Style with Silver Eagle and Rondel – Military Collectibles, Inc.
Has a red soutache attached, also has mercury gilding. The cap shows definite wear, but no abuse. Has proper grommets and sweat wear on the interior. 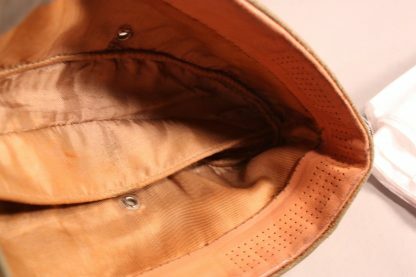 It has nice leather brow sweat band.